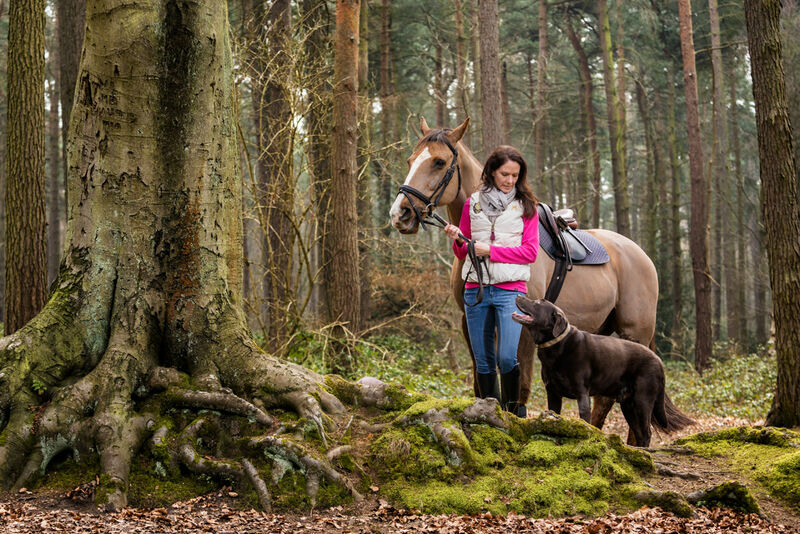 Abby wanted some photos to cherish of her two BFFs – Barney, her horse, and Rolo, her labrador. 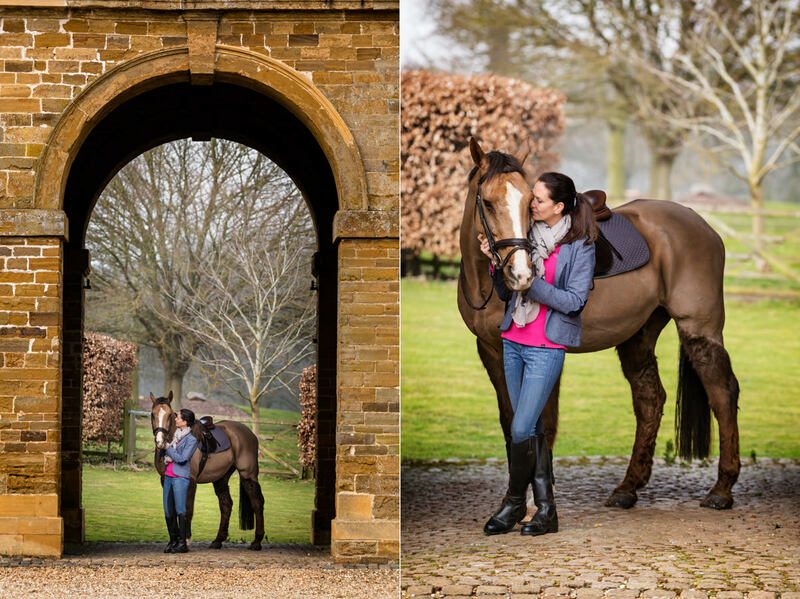 We started off at some grand country stables and then headed into the woodland at Harlestone Firs in Northamptonshire. 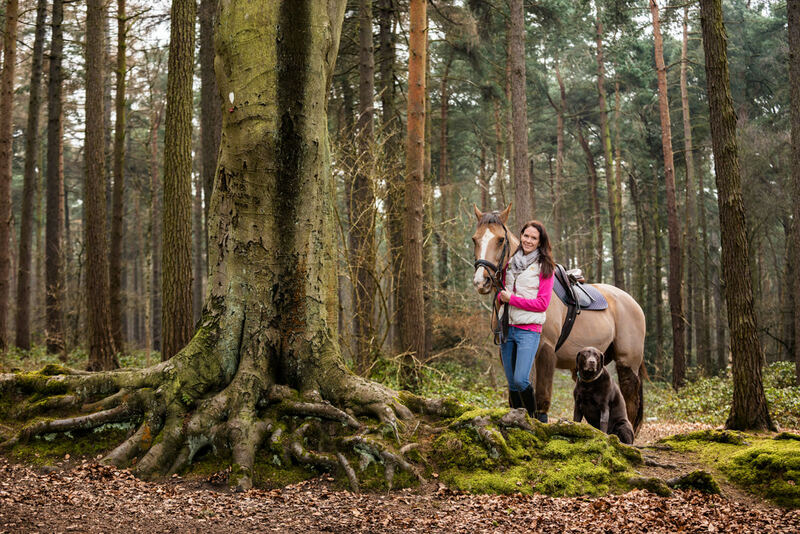 Abby often rides at Harlestone Firs so it was the perfect place for some meaningful photos. 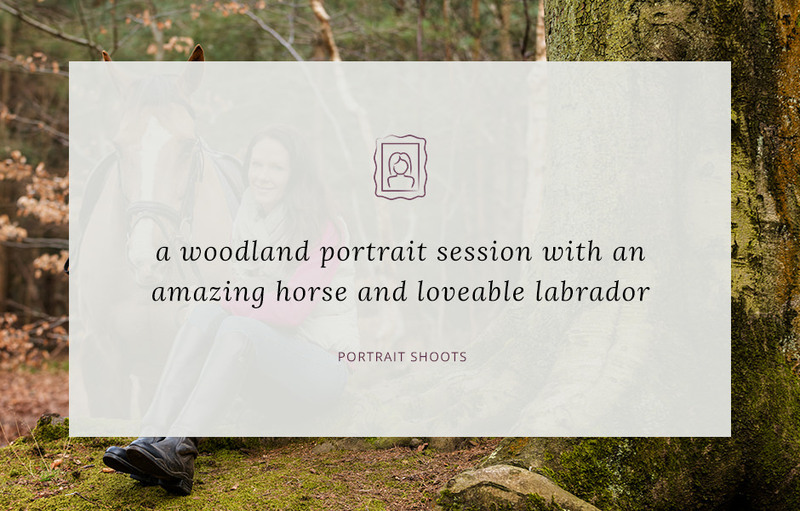 Photographing horses can often be tricky because they don’t usually give you much time to get a variety of shots before they get bored. 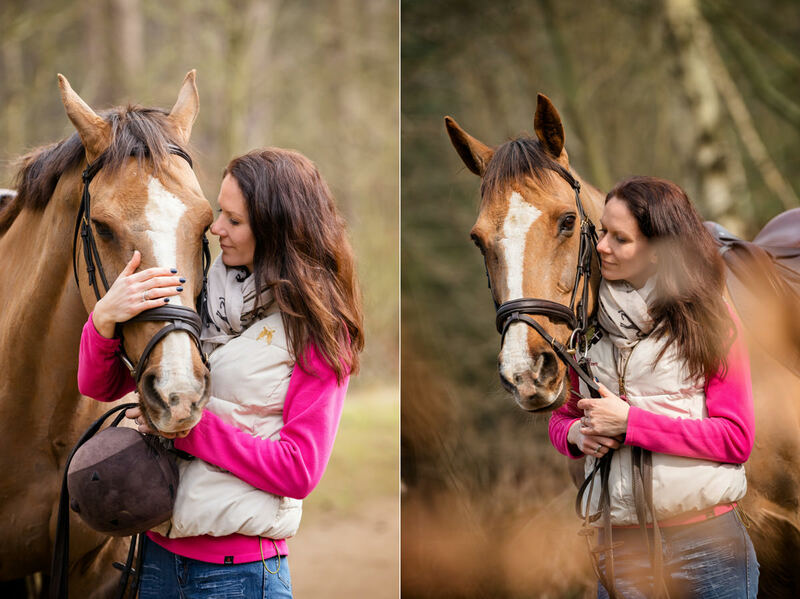 Barney was amazingly patient and on good form though so we were able to create a nice mix of shots. 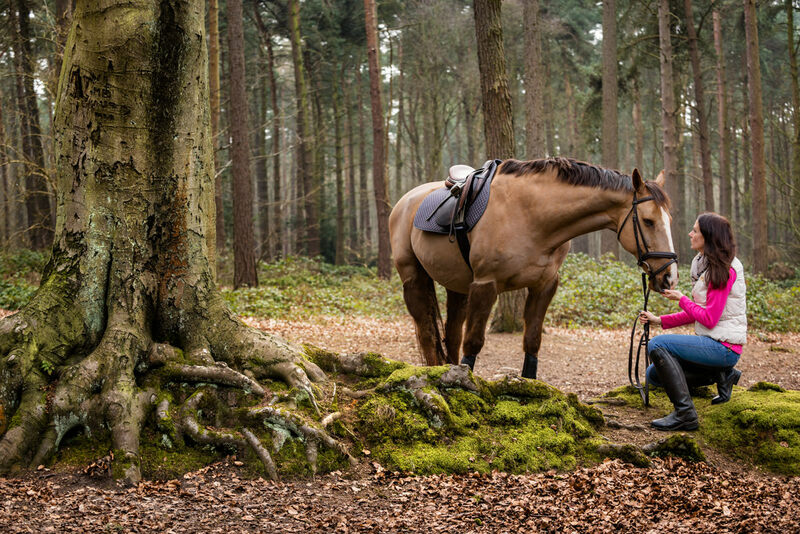 Nevertheless, we kept the process as light and natural as possible, with a bit of riding, some walking and time to rest but not so long that he lost interest. Rolo was content to just tag along and sniff around which made my job much easier! 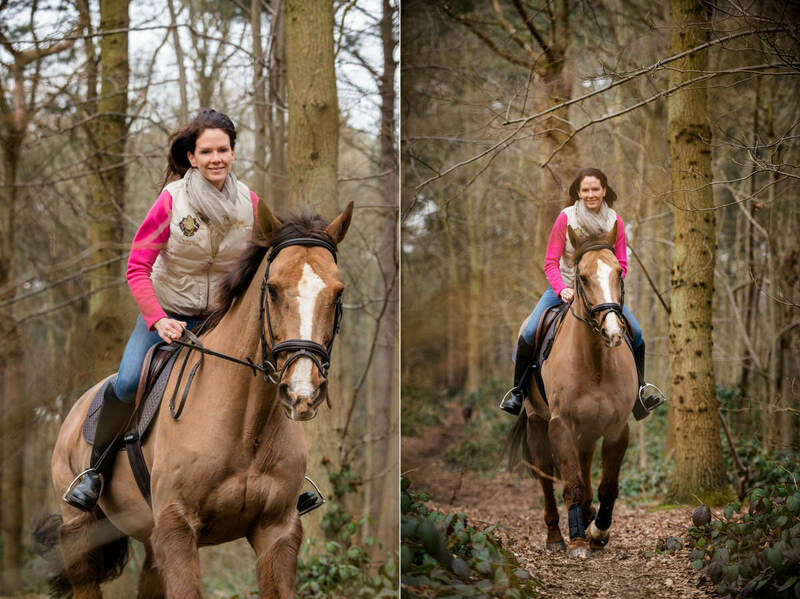 You’ll see from the photos that some simple changes to your outfit can add even more interest to a set of photos. 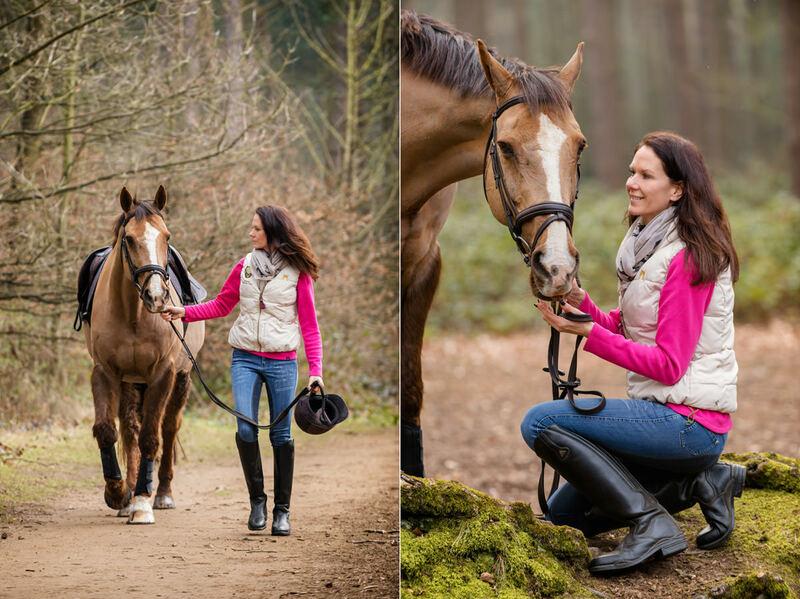 Abby chose a smart jacket with a country feel for the pictures at the stables to give a slightly more formal look to work with the architecture and then swapped the jacket for a relaxed gilet and loose hair for the more rustic shots in the woods. 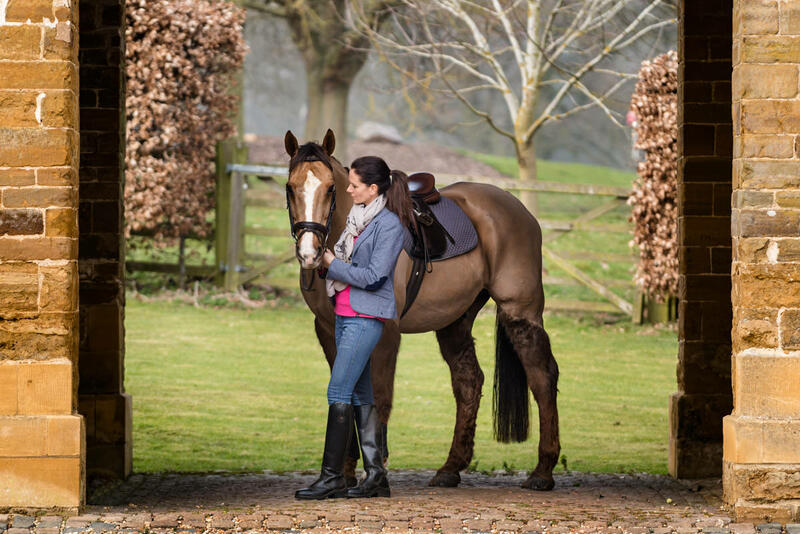 It’s always worth having some different layers or accessories to change things up part way through.